WUM have a very bad optimization and graphic is crepey. For that reason is appear idea for migration appear to W4M. I am very bad in scripting and modeling so I'm looking for someone who can do this. I know a little about scripts, but I'm too lazy. What do you want? After that, I can start insert maps and somebody other mission scripts. I gave up of idea for complete conversation. Started a new project and soon will be finished. This MapPack contains 120 Team 17 maps. 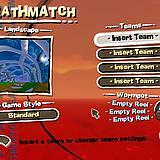 All maps from Worms 3D and Worms Ultimate Mayhem is added and some converted from Worms Forts. 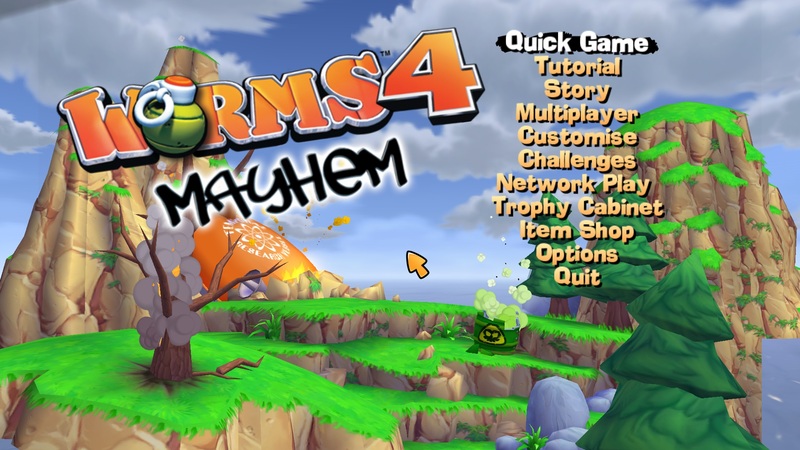 Ofcorse all original Worms 4 is there, and 7 hidden maps is now playable. Bonus 4 RopeRace maps. 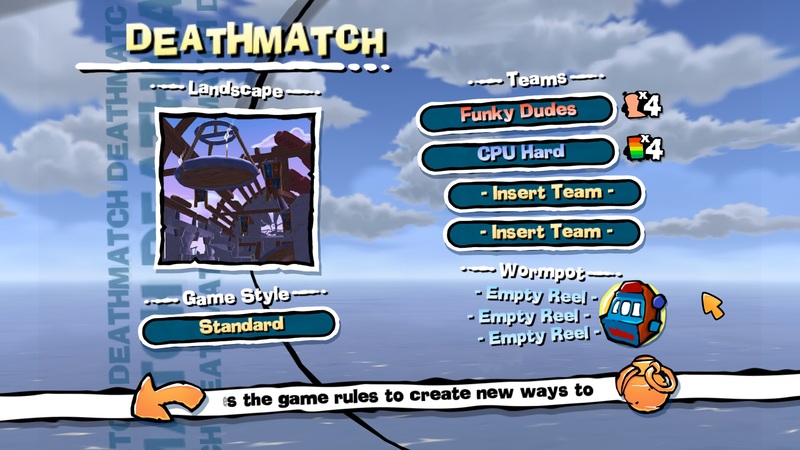 All maps can be played in Deathmatch and Survivor mode. 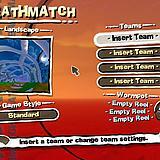 Hud and weapon panel is replaced with HD version from Worms Ultimate Mayhem. Worm model is replaced with HD version. For now i waiting a premission from Alex Bond and Woitek to include their maps . trta80, good idea... but u cant replace original W4M hud with HD defenition (x2), becouse thats not supported. And i think worm model in WUM not have more poly, than W4M. I've already finished HUD and Weapon panel and it's work. Only radar don't be in HD. Worm model is finished and work perfect. Now I waiting for premissiom. After that i can make installation and upload. trta80, Hmm... its interesting... Did you paste tga with HD and change it size in HudTwk.xml? Why its not work with radar? What is difference with WUM and W4M worm model? Poly amount or hd textures? 4erveR, I tried that, but without success. firsacho, Only pasted extracted tga files from WUM bundles in worms 4 dir without editing HudTwk.xml. For radar i don't know, but maybe is solution xml tweaking. For worm model is only texture. I'm too lazy to try again edit files. By the way I finished this version and file is ready for sharing. trta80, I can help with Blue Divide. I'll post it for 10 minutes. 4erveR, Thanks dude for this. Do you have idea for fixing "dimming" before every round? And maybe you have sollution for this border. Do you have idea for fixing "dimming" before every round? Also try to edit menu tweaks (change color, maybe hide some elements). But with original water color black text may look normal. 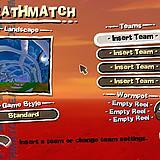 I'm not sure about W4, but Worms 3D NTX can replace sky xoms. But somethimes it can contains XBlend glitches for unknown reason. Writting missions is also awful. 4erveR, I find what file is for dimming and it's fixed whit your transparent method. But how i can edit color in tooltip to white or yellow? Woitek, Maybe is possible to convert missions and challanges from WUM. Code is probably same with W4. 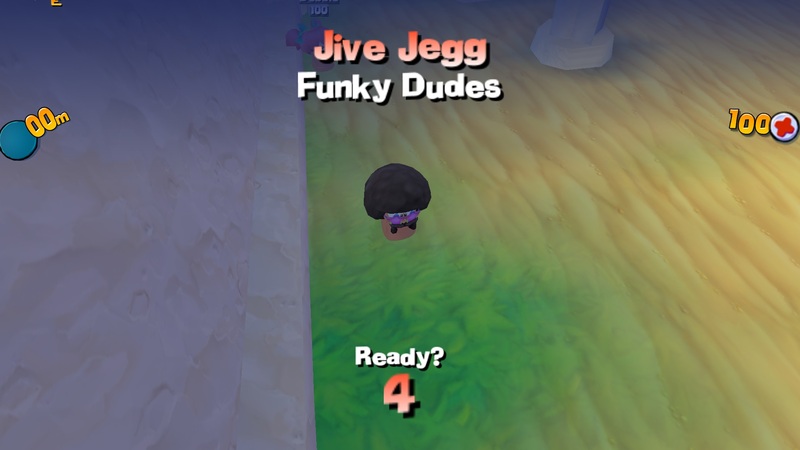 By the way, can i use your Worms forts maps in this package? Ok, for now this aspect ratio textures are fixed. Everything is ready.